This book is about alphabets and I would use this with kindergarten. This is a fun book and it has sound and cool pictures. 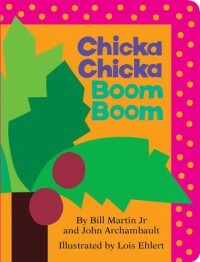 The kids would really enjoy the BOOOM-BOOM sound. I would create a fun alphabet game and allow students to practice their alphabets.